Costa Rica sport fishing is great, but even better when you know where and when to fish! The following map shows the best places to fish and what species to target. Click here to see a larger version of this sportfishing map. 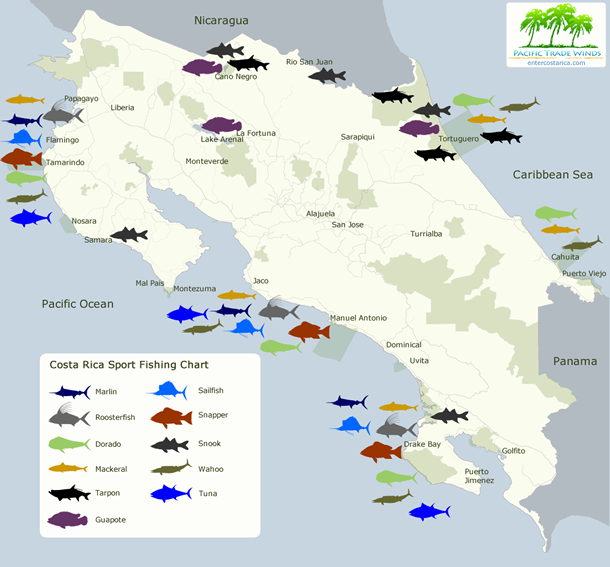 Click here to learn more about sport fishing in Costa Rica.